This year Tate Britain is shining a spotlight on the intensely creative and influential 1949-55 British movement 'New Brutalism' focusing on architects Alison and Peter Smithson, engineer Ronald Jenkins, Eduardo Paolozzi and photographer Nigel Henderson. While New Brutalism is often referred to as 'short-lived', the show proves its enduring impression. A strict emphasis on functionality dictating form, material and structure was at the heart of the New Brutalist movement. While its primary imprint fell on architecture, Tate's show sheds light on the photography, sculpture, painting and collage that contributed to bringing this new aesthetic to life. In 1955 architectural critic and writer Reyner Banham wrote The New Brutalism (read it here) which set the group's title in stone. He defied the critics who rejected Brutalism as a movement too close to its description, instead celebrating its 'ruthless logic' and 'coherence of the building as a visual entity'. For Reyner Banham it was 'architecture of our time' and vital for paving the way towards a new modernism. 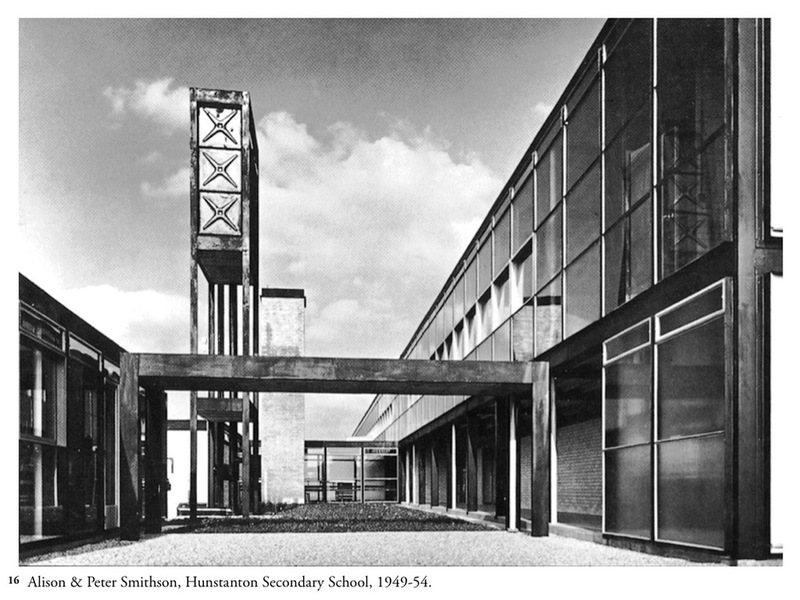 Perhaps the best example is Hunstanton School, Tate has the original ground plans and illustrations on display. This was the first major triumph for architectural duo Alison and Peter Smithson, who won the competition for its commission while they were both only in their 20s. Form entirely followed function, some elements of the building were even left exposed like the water tower, and their steel, glass and brick emphasis took inspiration from Mies van der Rohe. 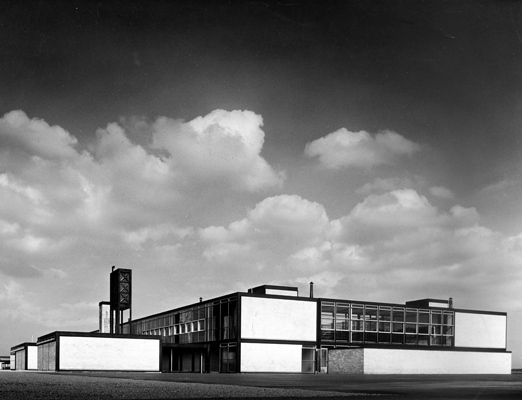 The success of Hunstanton relied on a collaboration between the architects and Ronald Jenkins, Eduardo Paolozzi and Nigel Henderson. Along with architects, artists, writers and critics they formed The Independent Group and met regularly at the ICA to debate and challenge established views of Modernism. Together the group organised cutting-edge shows including Parallel of Life and Art curated with Reyner Banham at the ICA in 1953. Parallel of Life and Art pulled together black and white photographs from both fine art and non-art sources such as archaeological studies with works hung unconventionally at varying heights and angles. The exhibition merged art and science, questioning both art's place in society and its curatorial display, what unified the photographs was their role in recording human existence. Despite falling under the Brutalist title, this show expressed a lyricism and poetry that relied not on pristine aesthetics but a deeper connection to the outside world.